Skype is the granddaddy of all online voice and video calling services, but the company has found itself behind the likes of WhatsApp and Facebook Messenger, something that has forced Microsoft to diverse its services. While the likes of WhatsApp and Facebook Messenger target mainstream users, Microsoft and Skype are looking at both mainstream and business users. Given the tough competition in the former sector, Skype has been making its presence known in the enterprise world thanks to Skype for Business. This application is available for use on mobile phones, but Microsoft has now moved it to Apple’s Mac. According to the tech giant, the new Skype for Business app brings a client that is specifically meant for Mac users, adding an edge-to-edge experience as far as video calls are concerned, among other services. Being a business-focused app, Skype for Business has more to offer to its users as compared to what the standard version offers. Some of the notable additions you get on the business app are one-click-to-join functionality alongside the full-screen sharing feature. With these, Microsoft is adamant that users of the app will have the best times when holding Skype Meetings. In addition to coming in with a Mac-focused Skype for Business app, Microsoft also updated the mobile version of the same app. In the new version, users will be able to enjoy the added support for PowerPoint presentations alongside content sharing features such as video-based screen sharing. The search engine giant notes that the new app will make sharing PowerPoint files in meetings an easier process. Skype for Business on Android can be used to share files right from the device. You also get swipe gestures that make it easy to transition between various PowerPoint slides. The shared files can also be accessed by other meeting participants via the content bin. 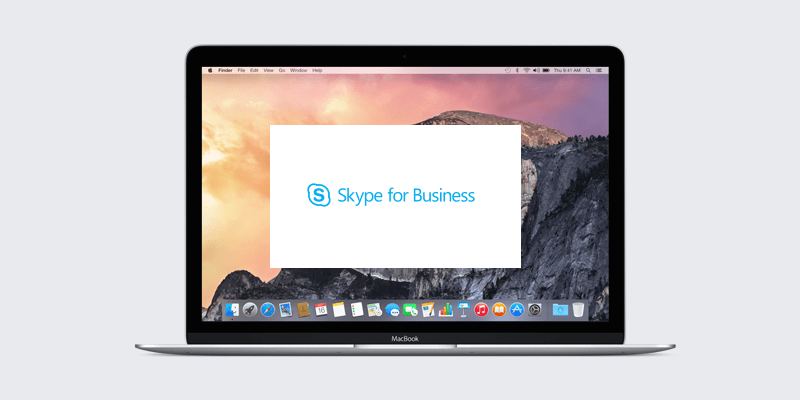 You can get the Skype for Business app for Mac from the official Microsoft website. The mobile version is available via the iTunes App Store.